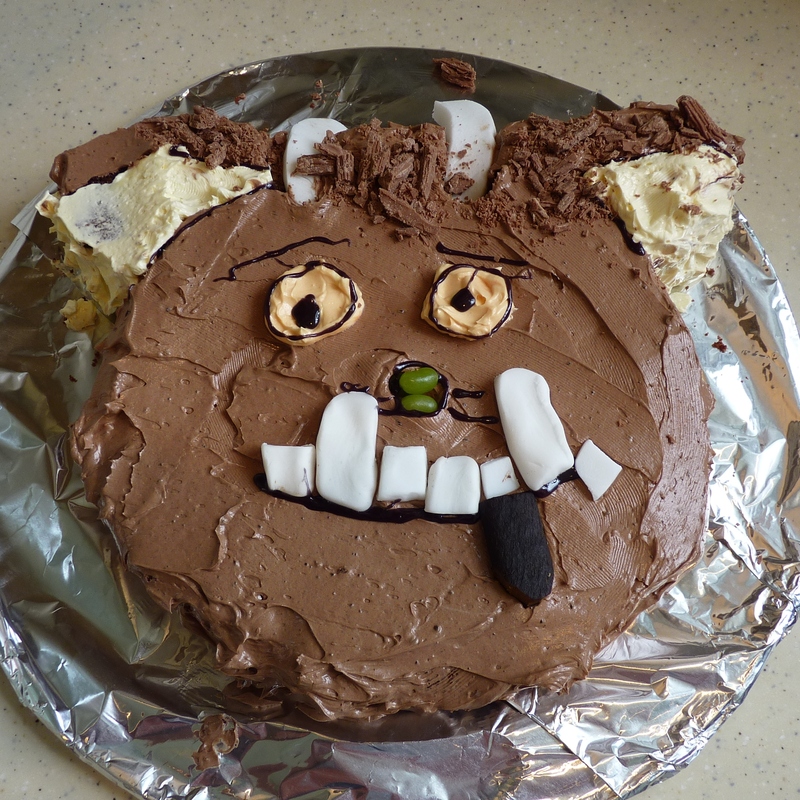 When Niblet was a tiny thing I bought a Gruffalo party pack from a cheap book shop with the intention of using it for one of Niblet’s parties. I decided this year would be that party. 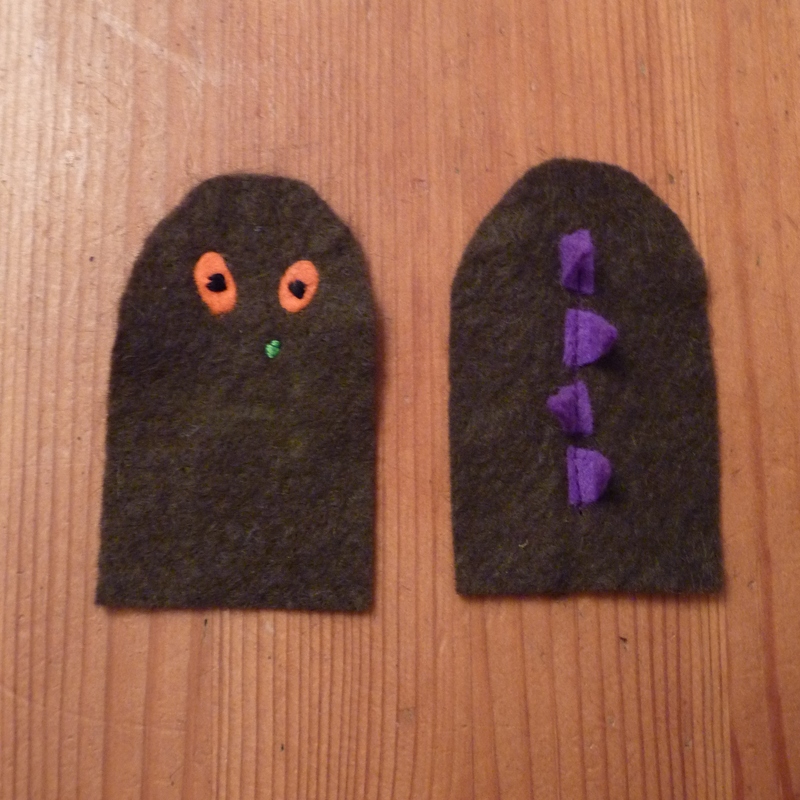 Fortunately, I decided this a while ago as I had lots of ideas for things to make!!! 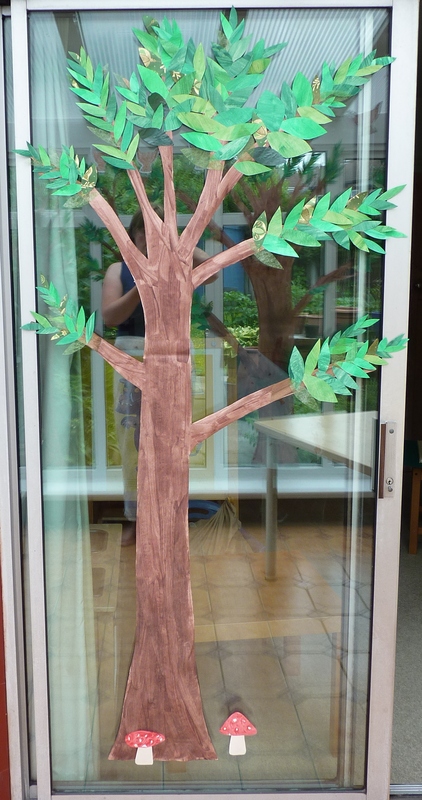 The party pack has some good ideas in it, but many of the activities are really individual activities, like colouring, which aren’t really suitable for a party, so I’m glad I got it cheap. 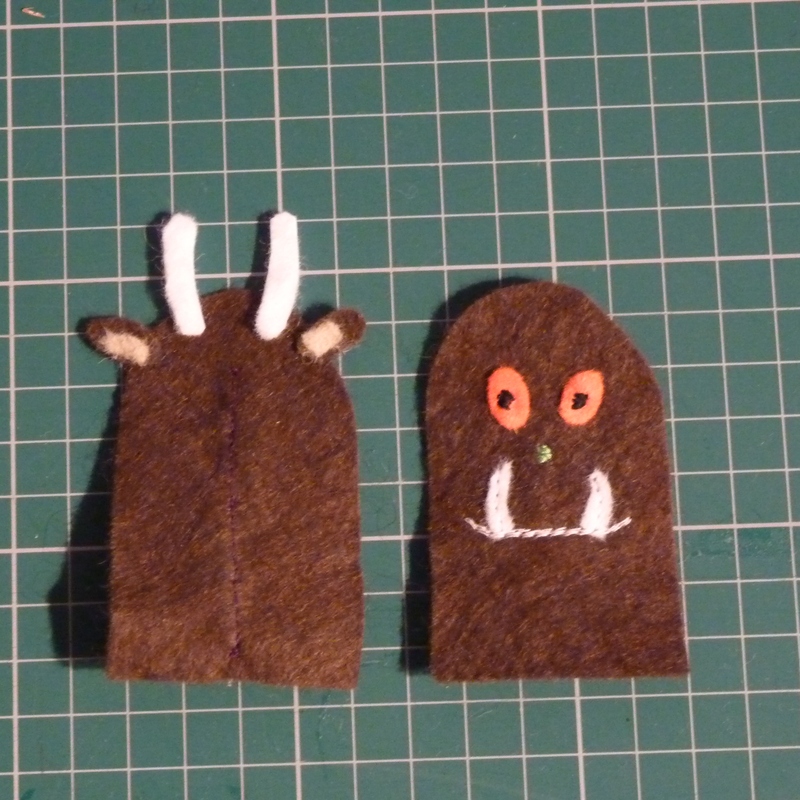 Most of the templates can actually be found for free from the Gruffalo website (which is great). 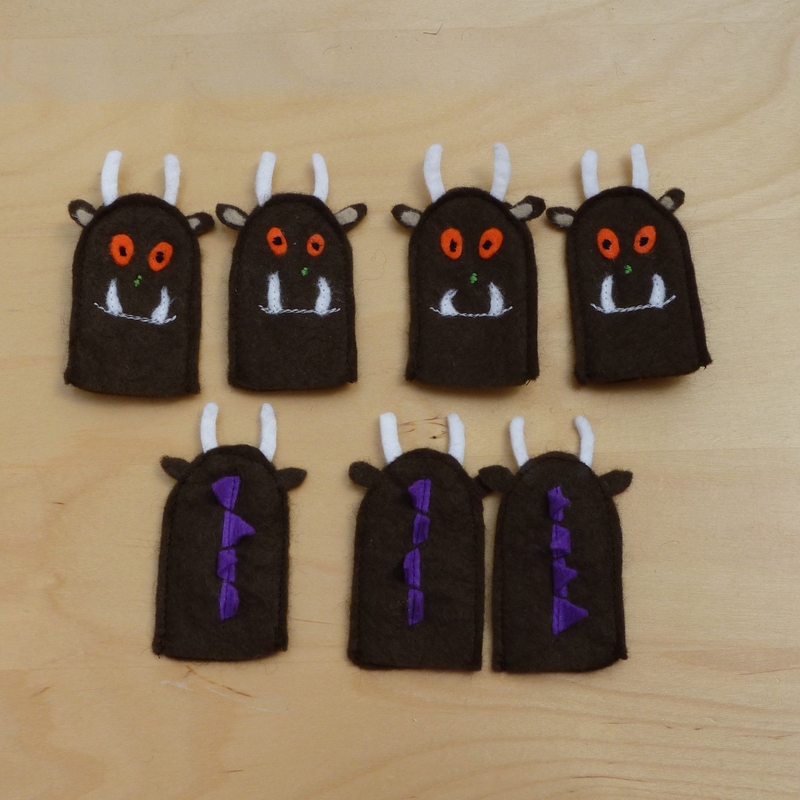 The website has lots of other Gruffalo party ideas and activities that I turned into a little booklet for the party bags. 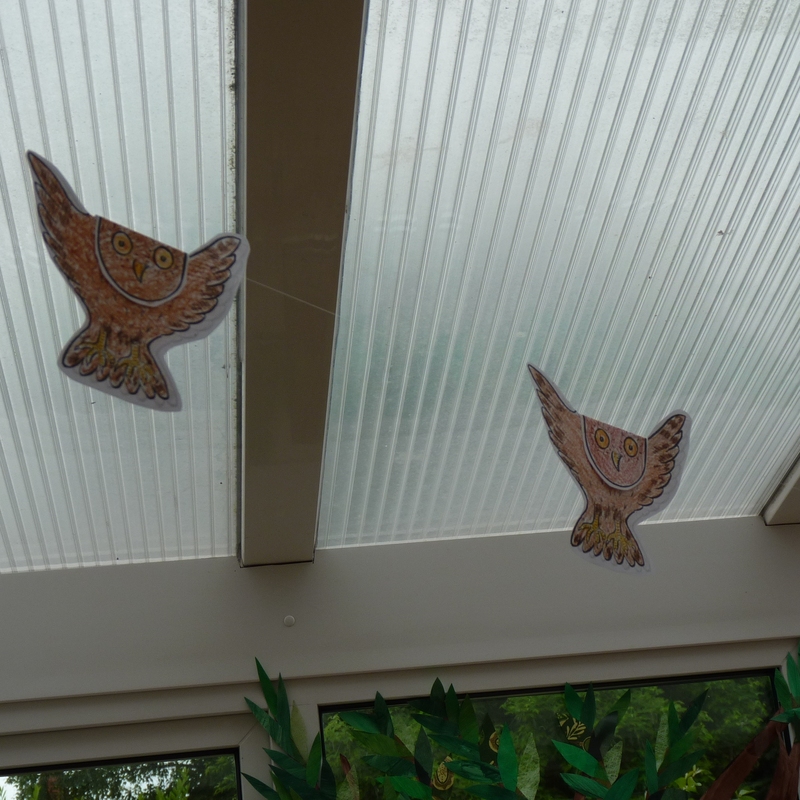 I printed out a load of owls to string across the conservatory (coloured in by grandma) from the party pack templates. 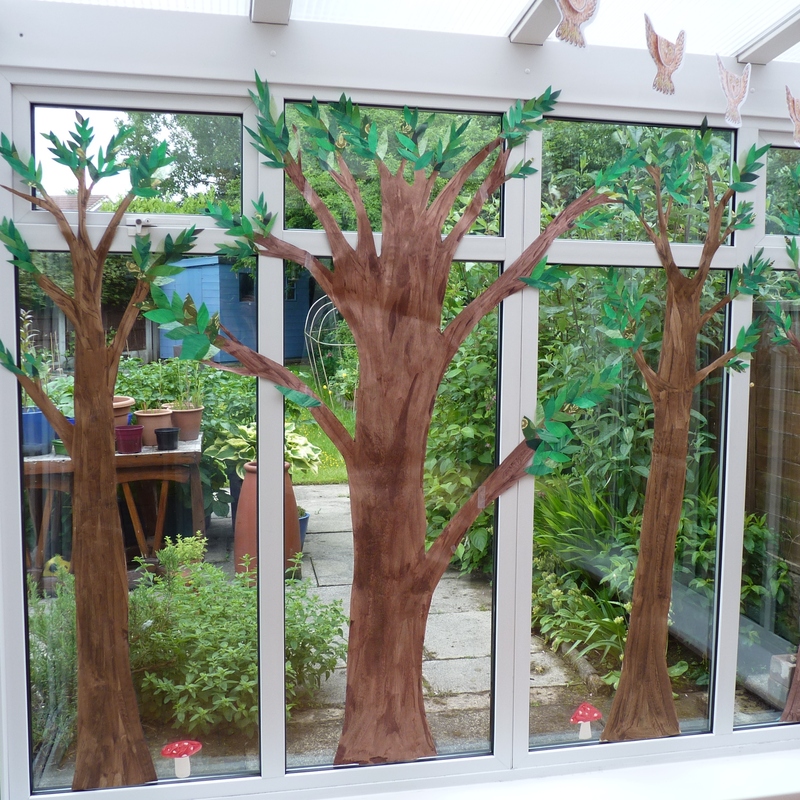 In previous posts I have mentioned painting trees – this was to turn our conservatory into the deep, dark wood. 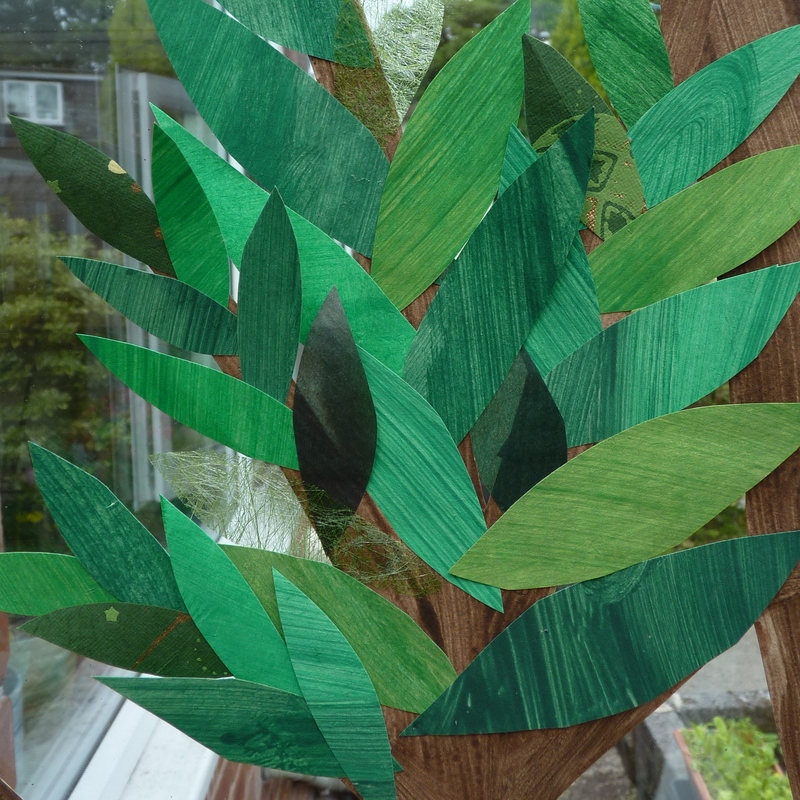 This also involved painting and finding green papers/material to create leaves. 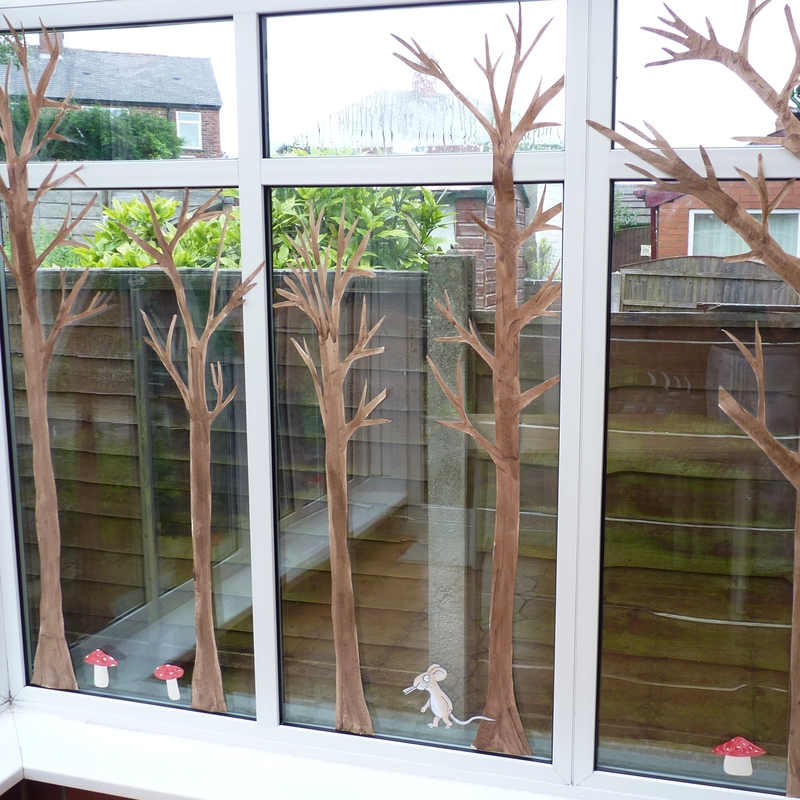 By midnight on Friday night I had run out of leaves, energy and patience!!! It was a really good few hours with 4 of Niblet’s friends, 2 of their little sisters and all their parents, plus Niblet’s grandma. 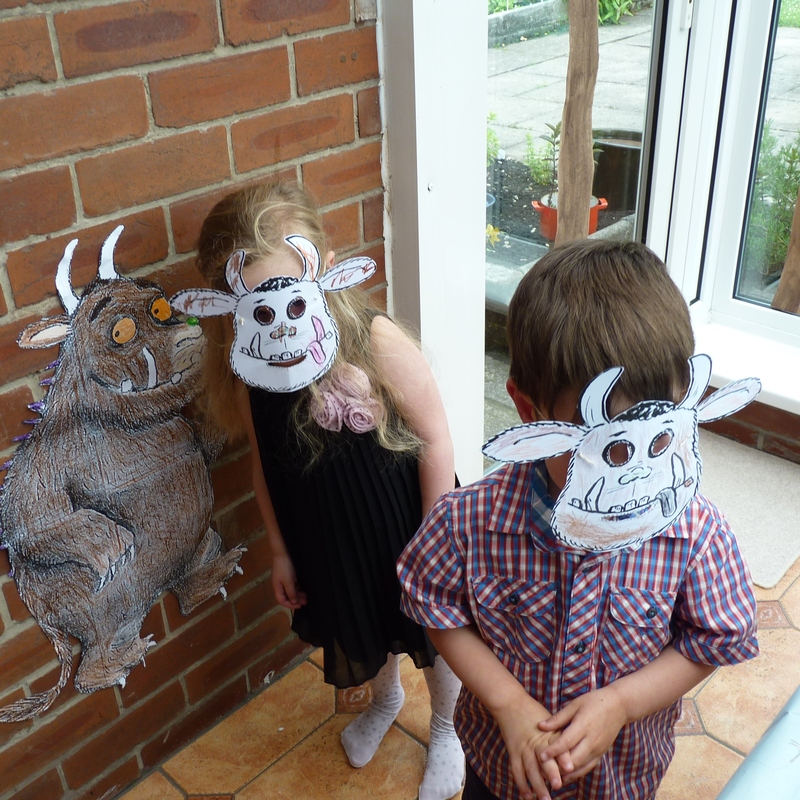 We made Gruffalo masks, played pass the parcel with Gruffalo themed forfeits & jelly snakes, played stick the wart on the Gruffalo’s nose (like pin-the-tail on the donkey, available in the party pack), played musical bumps to the Gruffalo song and ate lovely food in the deep, dark wood. 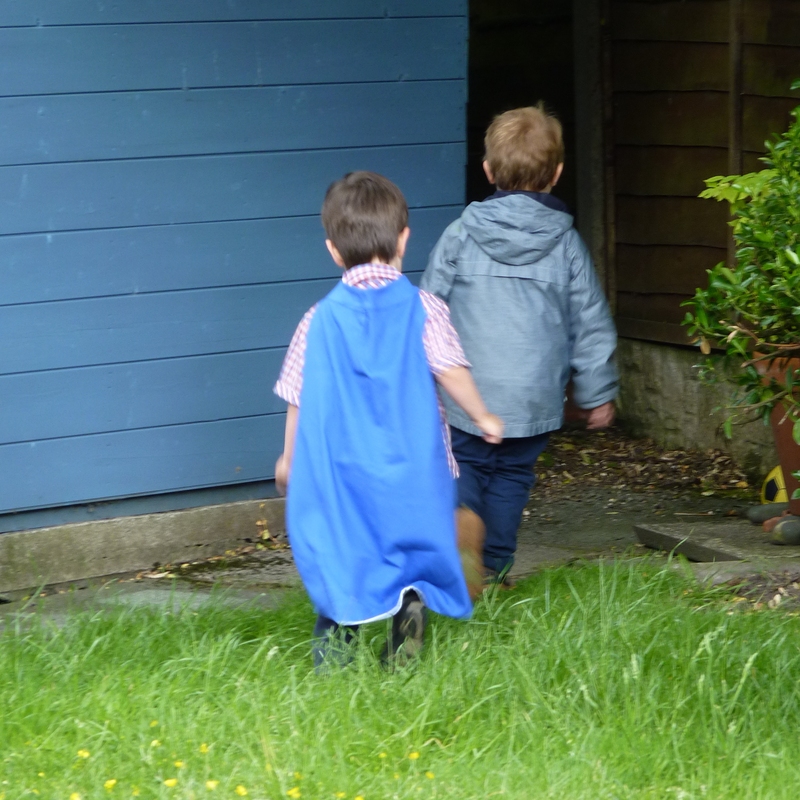 There was also a bit of running around in the garden and exploring down the back of the shed! 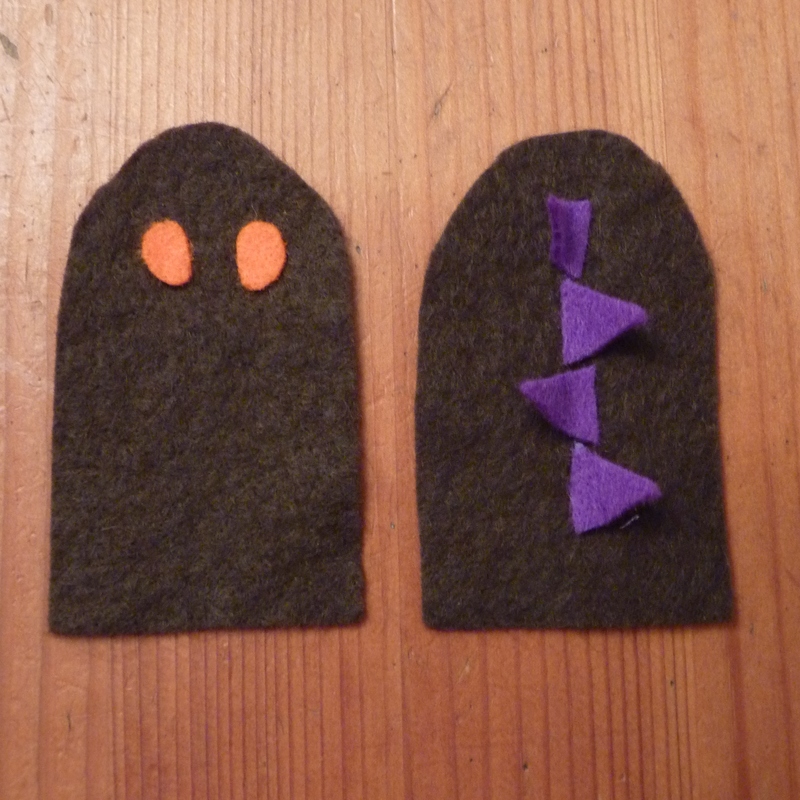 I have also previously posted a peek of something I was making to go in the party bags. I have recently become aware of adverts appearing at the bottom of my posts. These are nothing to do with me, I don’t know why they are there or indeed how to get rid of them. I apologise. 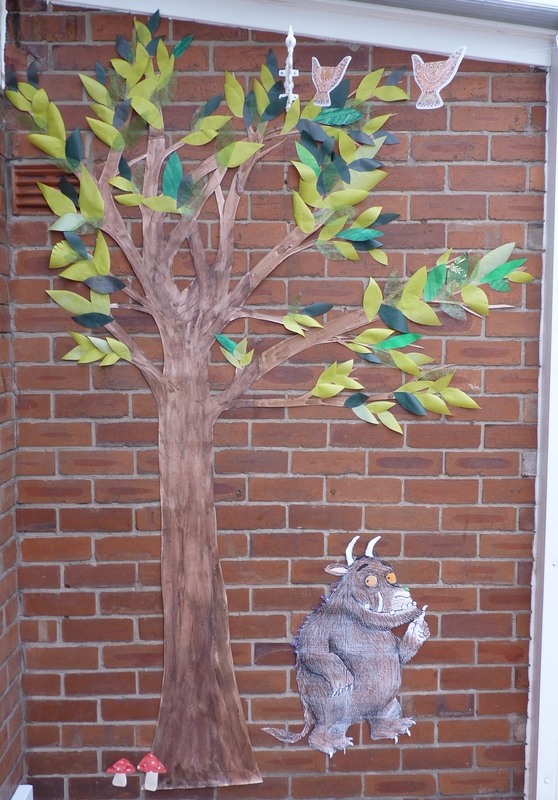 This entry was posted in baking, making, photo-taking and tagged Gruffalo, Niblet, paper trees, party. Bookmark the permalink. I’m not sure whether to tell you that Big Girl’s favourite thing appears to have been running round the shed… They were both exhausted at bedtime though! Thank you for a lovely afternoon.